When I was first married, my first job was working at Hardees as a cashier. For what it’s worth, I enjoyed the simplicity of the job as well as the people I worked with, both staff and customers. It just wasn’t something I wanted to make a career of, but for the time being, it worked well for me until I would become a nurse. The customers certainly did bring about a lot of enjoyment to me. I remember we had a frequent customer, Craig, who came in every morning and ordered the same thing: Sausage, egg, and cheese biscuit with mayonnaise and a slice of tomato. I remember thinking many times, as I pushed the bag across the counter to him: heart attack in the making. Craig later came to own his own dry-cleaning business across town. When I became a nurse, I became a regular customer to him as he took care of my uniforms for me. He remembered me from Hardees and took a personal interest in my laundry as a courtesy. It does pay to be kind to people even if you do work in a fast-food restaurant. Craig was proof of that mentality. My favorite customer was George. 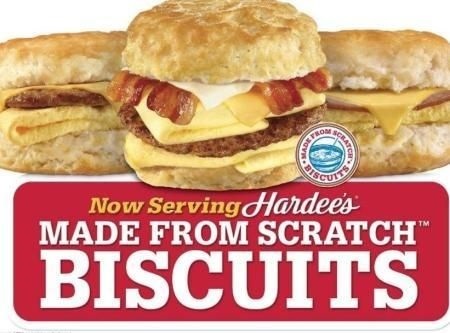 He was an 86-year-old widower who, like clockwork, would walk four blocks to Hardees every single morning, and order a plain sausage biscuit and a cup of coffee. His bill always came to $1.19 and I would give him back .6 cents in change. One morning, George did not come in. My first thought was oh no! He died! I just know he did. The second day, he didn’t come in so I scanned the obituary section of the newspaper looking for anyone named George who may have passed away (I didn’t know his last name). However, when George came back to Hardees on the third day, I almost fainted. “We went to Thomas Café on Front Street; just a few blocks over,” he answered and agreed he had a really nice visit with his son. In my defense, he was an old man. He smiled again and thanked me for my concern. It really meant a lot to him that someone cared. Not long after that, George came in for his usual. As he reached behind him to pull his wallet out of his back pocket, he gave a loud gasp. I all but flew into a panic mode. I had very vivid images of hollering for someone to call EMS, chest pumps, and breathing heavily into his oral cavity. “No, no. I just forgot my wallet at home. I left it on the dresser,” he answered with a wave of his hand. He must have also had a very vivid imagination. I’m sure it was the thought of me wearing his dentures that caused him to laugh good heartedly. He thanked me for breakfast and walked off with his tray. My daughter is of the opinion that working in fast food restaurants is a waste of time. However, I think of it as a learning tool for kids. Yes, for the most part, it’s a good kid job, but you can make a career of it – you just have to stick with it. For me, working in Hardees taught me a lot about people, customer service, and how to be a professional. I incorporated many of the lessons I learned while there into my life as a nurse of thirty years. It was a great experience, even if it was just a fast food joint.